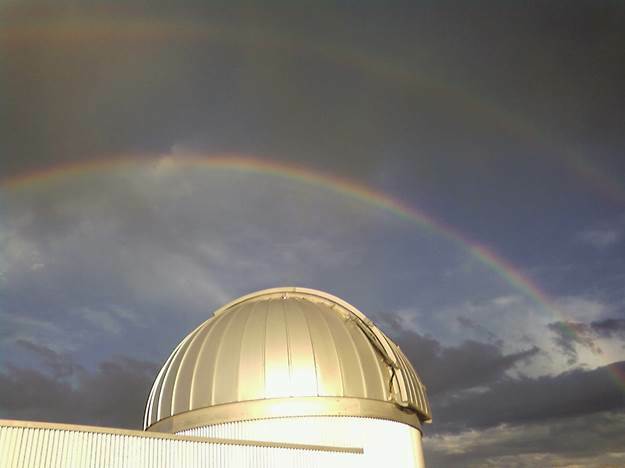 Gunnison Valley Observatory is open for public viewing every Friday and Saturday evening from the second weekend in June through the second weekend in September. The facility gates open at sunset. Evenings consist of a brief astronomy-related program and multiple telescope viewing opportunities. Admission is by donation and reservations are not required. The Observatory is also available for a fee by reservation for private viewing parties. The Observatory is located south of Gunnison at 2804 County Rd 38 across from the Hartman Rocks Recreation Area. From Gunnison, travel west on Highway 50, turn left before crossing the Gunnison River onto County Road 38, continue around the airport runway then head south about a mile. The Observatory will be on your left inside the dirt berm. For more information on programs and visiting the Observatory go to www.gunnisonvalleyobservatory.com or call (970) 642-1111.